Tobacco documents reveal the industry had its eye on nicotine gum and patches decades ago. Hello and happy Saturday! Welcome to our summer roundup of eclectic and under-the-radar health and medical science news. If you haven't subscribed yet, you can do that here. 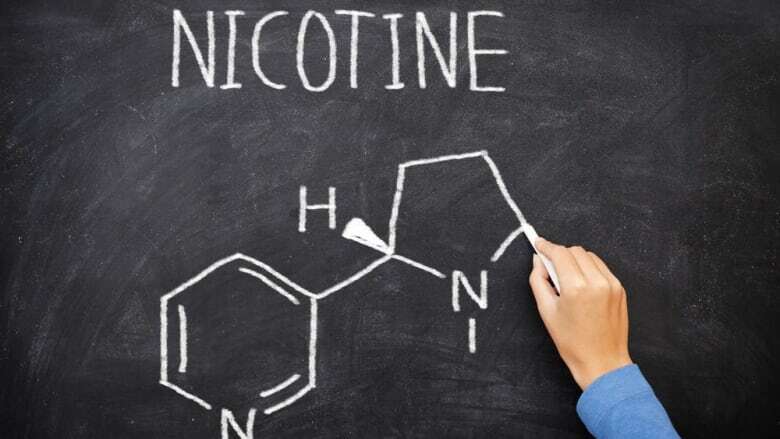 Researchers at the University of California, San Francisco wanted to find out what the tobacco industry knew decades ago about nicotine gum, lozenges and other nicotine replacement products. So they dug into a trove of industry files known as the Truth Tobacco Industry Documents Library, a publicly accessible archive of papers released during tobacco industry court cases. Their findings were published recently in the American Journal of Public Health. "What we found was as early as the 1950s they were interested in developing nicotine replacement products," study author Dorie Apollonio told us. "They were developing ideas for gum and candy and beverages and even preliminary e-cigarettes as far back as the 1960s and 1970s." The documents, spanning the years between 1960 and 2010 show tobacco industry officials were intrigued by the business possibilities of alternative nicotine products. "They knew as early as the 1980s that people were using nicotine replacement therapies for non-cessation purposes," she said. But in the end the industry abandoned its interest because of concerns about federal regulations. "They were afraid if they admitted nicotine was a drug it could open the door to tobacco being regulated by the U.S. Food and Drug Administration." The situation changed in 2009 when the FDA independently began regulating tobacco. At the same time consumers were demanding nicotine replacement products to help them quit smoking. At first tobacco companies objected to the introduction of prescription nicotine alternatives, but later the industry took a renewed interest in other ways of selling nicotine. "The more recent documents that we talk about in the paper show the tobacco industry transitioning to what it calls a craving relief market," she said. Today nicotine replacement products including gum and lozenges are available over the counter in both Canada and the U.S. creating a dilemma for public health researchers like David Hammond at the University of Waterloo. "We don't know what to say about them. It's not black and white any more." "The evidence is that they are having some benefit in helping people to quit," he said. "But people are using them for other reasons, mainly for times when they can't smoke. So that has the potential to sustain smoking." These are all nicotine delivery systems but it's rare for gum or patches to be used recreationally, Hammond said, adding it's a different story for e-cigarettes or the new vaporized cigarettes. "Yes it's scary because they're more appealing to youth," he said. "But the more we can get people away from nicotine in smoke the fewer people will die." Hammond said the new research provides an interesting historical perspective, adding that the tobacco papers archive is still an extremely valuable source of information for public health researchers. "There is more science on nicotine, nicotine addiction and smoking behavior there than in the independent literature," Hammond said. "Because the tobacco companies have always had better science than governments and that remains true today." One major limitation in human behavioural studies is figuring out whether research subjects are telling the truth when they answer tough questions. And the dishonesty can be surprisingly high as a University of Kansas public health researcher discovered. In a study published in the journal Addiction, Taneisha Scheuermann analyzed data from more than 800 people who'd been part of clinical trials aimed at getting them to stop smoking. The studies used a variety of techniques including counselling, nicotine patches, and phone and web-based support. Almost half of the people who said they'd quit (40 per cent) failed the chemical test. Scheuermann said she was surprised that so many self-reported quitters were being dishonest. She speculated that some of them were afraid to admit that they'd failed. "People often feel pressure to say they've quit," she told us. "They've received intervention and attention and so they might worry about disappointing the researchers or the sheer stigma of smoking." The findings are important because the trials were aimed at finding effective ways to help people quit smoking. It confirms that researchers need to use an objective method to verify self-reported claims of smoking cessation. And it proves once again that quitting isn't easy. 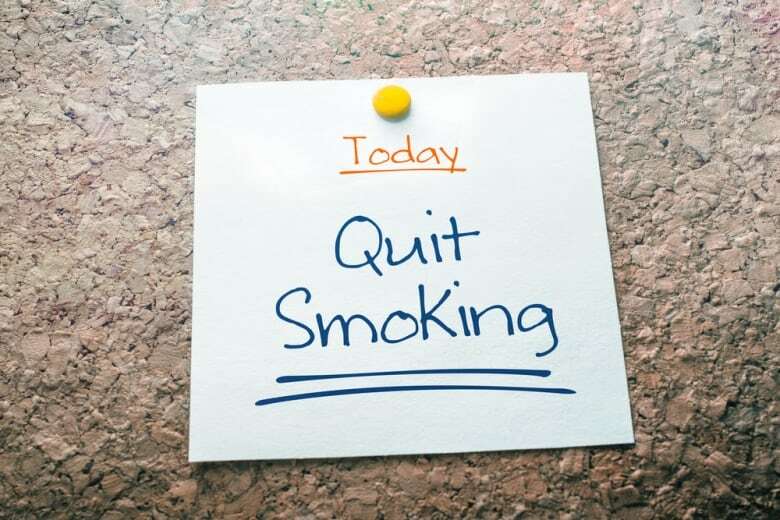 "It often takes people multiple attempts to successfully quit and often people will relapse and then later make another quit attempt before they're able to quit for good." What if itty bitty lasers could be unleashed in the blood stream to hunt down and destroy cancer cells before they cause new tumours? That's exactly what physicist Mark Stockman believes his spasers could do one day. 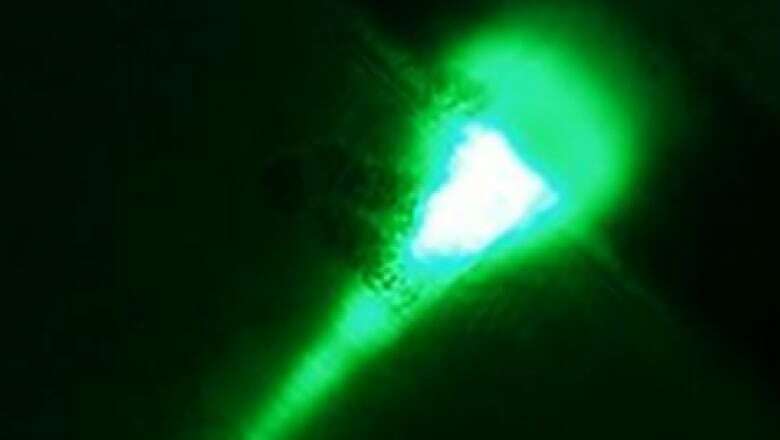 It all started back in 2003 when Stockman, a physics professor at Georgia State University, and collaborator David Bergman predicted that it would be possible to develop this laser-like nano-particle. They called it a "spaser," an acronym for "surface plasmon amplification by stimulated emission of radiation." Other scientists called it crazy. "When the spaser was first proposed, there was a continued onslaught of criticism," he told us. Six years later the first spaser was announced, described as the smallest laser ever made. "It quickly went from 'it's impossible to do' to 'everybody knows it works,'" Stockman said. "This happens in science." Spasers are being studied for their potential in a variety of fields, including nano optics and computing. But Stockman believes spasers will also be valuable in medicine to target one of the most challenging problems in cancer — the circulating tumour cell. In a paper published recently in Nature Communications, Stockman and a team of researchers tested the spaser concept in human cancer cells in a test tube, and in a mouse model. The spaser nanoparticle is only 22 nanometres, making it much smaller than a human cell. Spasers would be injected or infused into the bloodstream, engineered to attach to circulating tumour cells. An external device would emit a pulse that would activate the spaser to blow up the cancer cell through a type of shock wave. "It's a very efficient way to see a single cell and to destroy it without heating the tissue, without destroying healthy tissue, or creating any other type of damage." It's very early in the development process and at this point there are no human trials planned. But Stockman is optimistic and he says so far the reaction to his research has been encouraging. "I expected a lot of skepticism," he said. "People are extremely enthusiastic, I'm surprised." As part of our summer Second Opinion series, we're featuring great Canadian moments in medical history. This week meet: Dr. David Hubel, who used the eyes of a cat to discover how the human brain "sees." Back in the early 1950s scientists knew almost nothing about how the brain's visual mechanism worked. "They knew the eyeballs were important and that the eyes had nerves that sent visual signals to the back of the brain, but beyond that there was very little known," said Chris Pack, a neuroscientist at McGill University who worked with Hubel at Harvard. "I decided the visual cortex would be, if not more fun, the easiest because it's right under the skull and easy to find," Hubel said. "I got nowhere at first." Hubel invented a machine that could measure the electrical impulse from a single neuron. Then he connected a cat to the machine, flashed lights into the cat's eyes and recorded the staccato sounds from the neuron's electrical activity. At first nothing happened. "This was driving everyone crazy because how can there be a visual part of the brain that doesn't respond to light," Pack said. "But it turned out that vision is about differences in light, and that means edges, lines that define the walls, doors tables. The orientation of the lines, either horizontal or vertical, tells you a lot about the shape of the object." 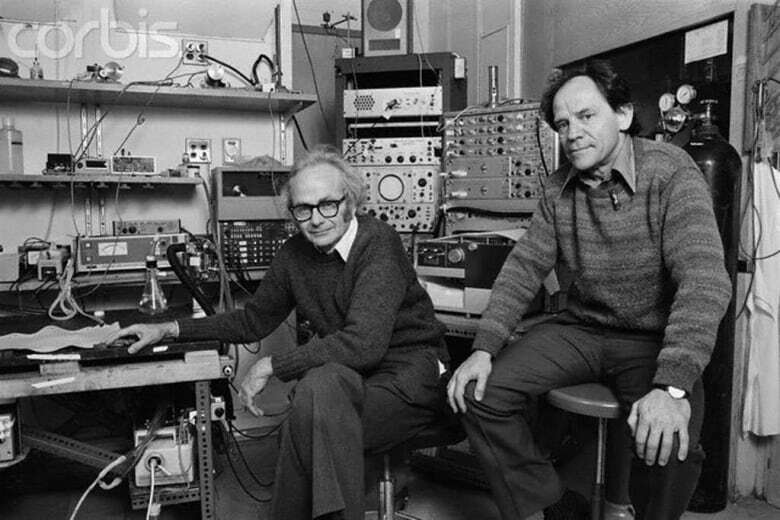 Hubel and his collaborator Dr. Torsten Wiesel discovered all of that by accident when they realized the cat's brain wasn't responding to the specific images they were flashing in front of it. "Suddenly we hit on something that made cells fire like crazy," Hubel told an interviewer. It was the single line created by the edge of the slide as they put it into the projector. "Once they figured that out it turned out to be the principle that unlocked the whole mystery of the visual cortex." And they learned that the visual cortex must be exposed to a variety of different line orientations very early in life in order to develop normal vision. The team shared the Nobel Prize in physiology or medicine in 1981. "For someone who was an absolute giant in the field, he was this very nice soft-spoken Canadian guy but also a hugely influential and successful scientist and I admired that combination in him," said Pack. David Hubel was born in Windsor, Ont., in 1926. He died in 2013 at age 87. These fascinating stories of discovery were selected from the Canadian Medical Hall of Fame, a medical history organization that began in 1994. Every year, six Canadians are inducted. There is a small exhibit hall in London, Ont., but executive director Lissa Foster told us the real hall lives online, with video features for the 125 laureates. Thanks for reading! You can email us with your thoughts. And if you like what you read, consider forwarding this to a friend.